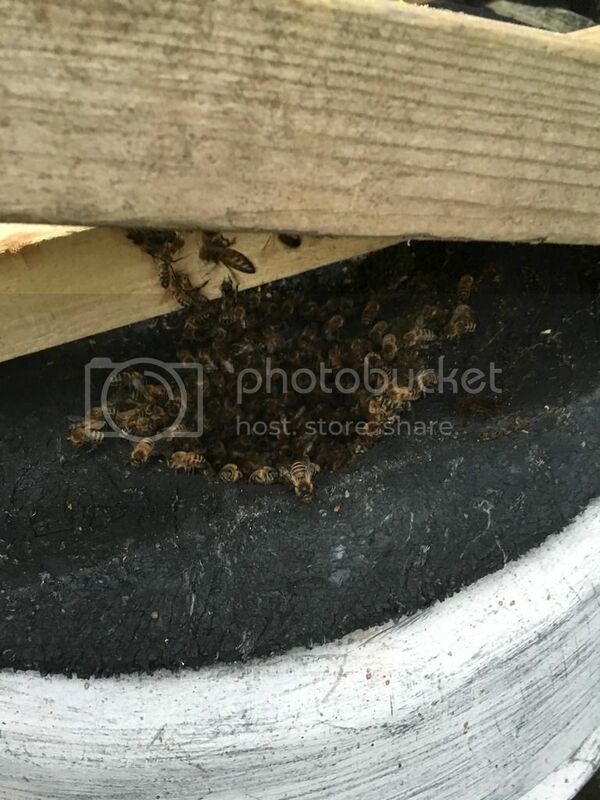 Posted: Sun Aug 28, 2016 6:10 am Post subject: Swarms don't seem to care!! 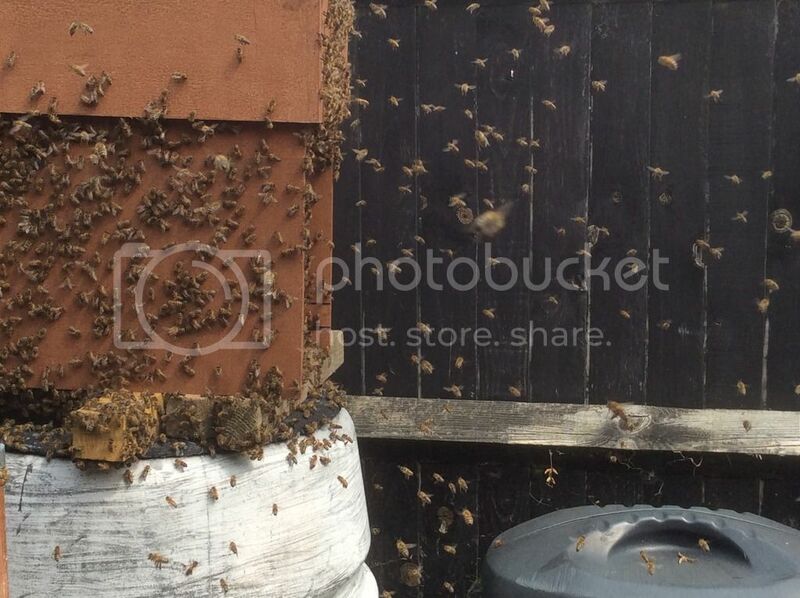 18th August swarm arrived in my garden. So I thought they were in the Nuc. There is only 12 inches between the water and the lid. 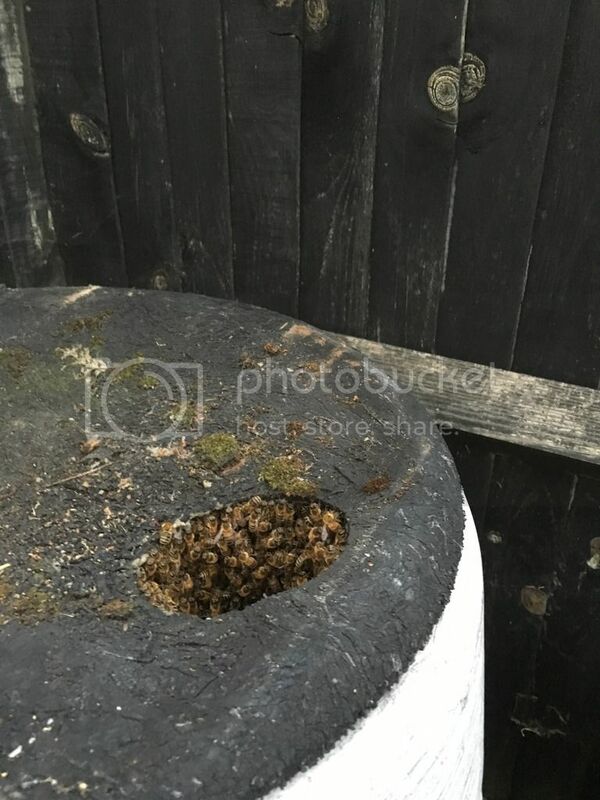 Seems to me bees aren't that choosy and the size of the entrance hole is clearly of little importance.